My Monday book giveaway (WHEN DREAMS COME TRUE) is here. My Thursday book giveaway (WINDIGO TWILIGHT) is here. On Monday, I'll draw the winner for WHEN DREAMS COME TRUE and post the title for another book I'm giving away. Stay tuned. 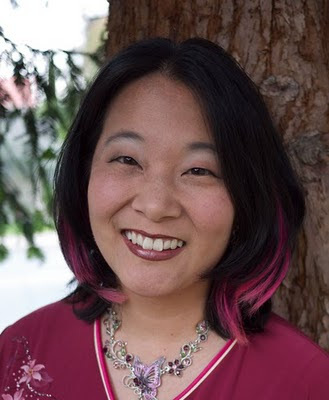 The overall winner chosen from the three winners of the categories will receive a critique of their full manuscript from Steeple Hill Editor Melissa Endlich, and $100 toward any writing related expenses paid within one year of the end of the TBL contest. The remaining two winners of the categories will receive $50 toward any writing-related expenses paid within one year of the end of the TBL contest. All other finalists in the categories will receive $25 toward any writing-related expense paid within one year of the end of the TBL contest. Writing expenses include the Golden Heart or other writing contest entry fee, conference fees, National RWA dues, etc. 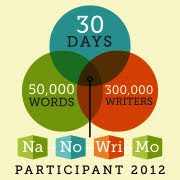 Eligibility: Participation is open to all unpublished authors and to any author not published in the past three years. All work must be the author's original work. Entrant must retain all rights to the entry and not have granted any of them to a publisher or other party by the contest entry deadline. The official entry form and fee must accompany each submission. Inspirational Romance Categories: Short contemporary (less than 75,000 words), long contemporary (over 75,000 words) or historical romance. Definition of an inspirational romance is stories written by writers whose worldview, influenced by their faith in the God of the Bible, is woven into the fabric of the book or manuscript. Entries in FHL's contest should not include inappropriate or gratuitous demonstration of sin, whether in language, violence, or sexual situations. Entry fee: $20.00 for members of the Faith, Hope and Love (FHL) chapter. $25.00 for non-FHL members. Non-members can elect to join FHL and pay the member entry fee. Enter as many manuscripts as you wish. Each entry must be accompanied both by an official entry form (or facsimile) and an entry fee. Entry must be RECEIVED by April 1, 2006. Preliminary judging begins April 10, 2006. 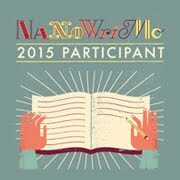 All manuscripts will be judged by two judges, one of whom is published. The two scores will be averaged for the preliminary score. Manuscripts will not be returned to the entrants. They will be destroyed by the contest judges once the score sheets have been filled out and returned. You will receive professional feedback from a panel of talented writers. Finalists will be notified no later than May 16, 2005, giving you time for early registration for the RWA Conference in Atlanta, GA. Finalists will be the top five scoring entries with an overall possible point total of 155. Our discrepancy judges and our panel of final round judges are all award-winning, multi-published inspirational authors! Bible in 90 Days: Day 52. I finished Jeremiah and started Lamenations. Jeremiah's always referred to as the weeping prophet, but his two books sure have a lot of hope in them. They're also filled with God's wrath against His idolatrous people and the idolatrous nations on the earth, which I can understand since all these sickos were sacrificing children and engaging in mass orgies and rampant prostitution. But while Jeremiah had these visions of God's hand of destruction, he also had glorious visions of the exiles' return and the New Jerusalem. Simply amazing. It must have been what kept him going through the years of persecution by the people he was trying to save. Poor guy. Writing: Got some done today, hopefully will get more done tonight. I'm going to push myself hard to try to get this new manuscript done by April 30th. Diet: I didn't do so great last night--had too large a dinner, and then ate potato chips late at night. Been doing good today--it's too rainy to go for a walk (safely, with my knee the way it is), but I had lots of veggies for lunch. Hopefully I can resist temptation to eat at youth group tonight. I'm behind in reading my blogs due to contest demands, but I want to thank you for posting about the contest. Entries are coming in slowly, so I'm hoping the added exposure will get others excited and wanting to enter.